So, it's all over: seven months in the making, Hitman is finally finished and all episodes are released. From the heights of stunning Sapienza to the lows of crummy Colorado, it's certainly been a journey – but does Hokkaido end up being a fitting swansong to an excellent game or a bad note to end on? We say, wholeheartedly, the former. Hokkaido is an absolute corker, not just gameplay-wise, but visually, too. Set in a modern spa hotel retreat/private hospital GAMA – think the Austrian hotel in Spectre, just without the Daniel Craig quips and Richard Ayoade knock-off – on top of a Japanese mountain, it's almost idealistic. 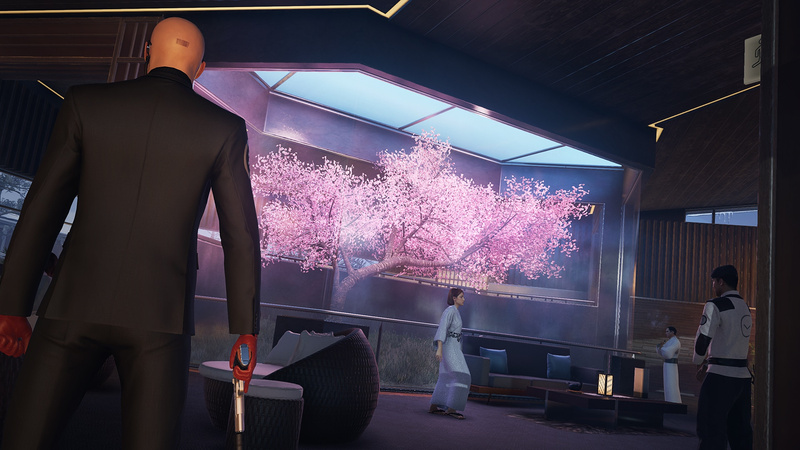 The pure white snow in the Zen garden, the breathtaking views of the nearby mountaintops, and the minimalist architectural style of the retreat all make Hokkaido an excellent place for Agent 47 end this season – and someone's life. Your targets this time around are former ICA Chief of Operations and Providence (they evil shadow organisation rivalling the ICA) defect Erich Soders, who's having a heart transplant as 47 arrives, and Providence operative Yuki Yamazaki. If both survive, then Soders will leak a list of all ICA agents to Providence – the stakes are high, then. The best thing about Hokkaido is that it feels truly different to the other levels, mainly thanks to KAI, an AI assistant who controls everything in the GAMA building, from what doors are opened to all of the surgical equipment. Since there are chips in every piece of clothing in GAMA, you'll have to steal uniforms in order to access different rooms, or else KAI won't let you in – sadly, 47's fetching kimono won't cut it. It may sound tacky and far-fetched, but it's actually an excellent addition – one more variable for you to take into account and therefore one more thing to keep you interested. You're also not allowed to take any weapons or equipment with you at the start of the mission – though you can hide gear around the level once you level up enough – which makes things more interesting. 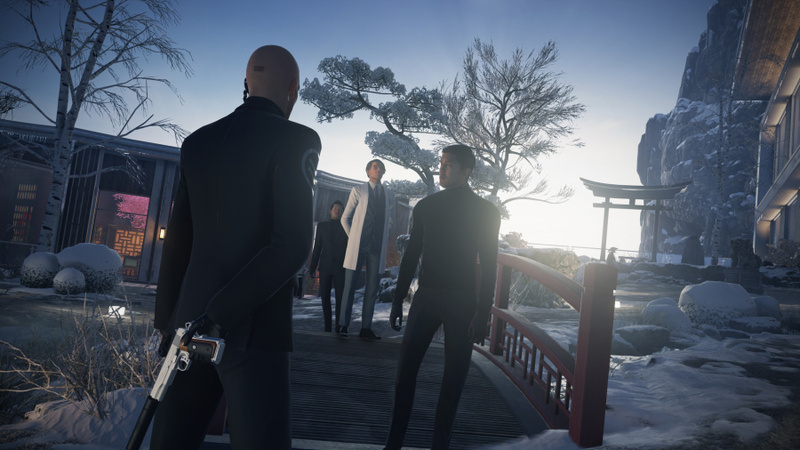 With no coins to distract guards and no lockpicks to open cabinets, Hokkaido becomes much more about patience and stealth than other Hitman levels – always a good thing. What's more, Hokkaido's map is one of the most interesting in Hitman. You start off in a luxury spa, with a sushi restaurant, thermal pools, and a general sense of calm and luxury. Go underground, however, and you'll find convoluted, bleak corridors, and high security. 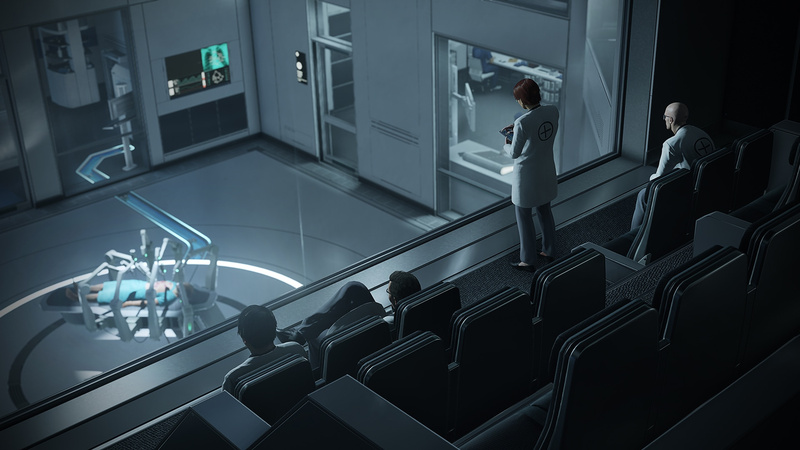 The hardest task is accessing the private hospital where Soders is located, though, and it's also the most tense part of the level, with everyone seemingly suspicious of your actions. Kills are at their funniest and most creative in Hokkaido – 47 impersonating a yoga teacher is one of our top picks, as well as stealing the identity of a man who's undergone facial reconstruction to look like Paris' Helmut Kruger – but it also seems deeper and darker. The fact that Soders is unconscious and on the operating table during the entire mission makes Hokkaido seem the most morally questionable mission – is it really fair and right to kill a man when he's so helpless? Still, anyone hoping for a conclusion to Hitman's story will be sorely disappointed, as the lazy cliffhanger ending asks more questions than it answers. Really, 'no entry, you ain't got the right swag'? Unfortunately critics seem to have universally failed to acknowledge the fundamental flaws in this inferior version. As I've stated previously, gunplay is a side note which doesn't have the same ballistics and physicality as Hitman 2: Silent Assassin over a decade ago on PS2. I've bought this as a full release and it's a pity many reviewers are either too young to remember a grander, superior Hitman rather than this release which pales into insignificance. Also, 6 levels is miserly and where the hell is the story?!? Am I the only one seeing these things re this Hitman? Are there other older players out there who agree Hitman 2 and 3 are embarrassingly richer as sandbox level experiences that actually had decent gunplay as well as stealth? @Galvatron "I've bought this as a full release and it's a pity many reviewers are either too young to remember a grander, superior Hitman rather than this release which pales into insignificance." I thought the older hitman games were too hard and put me right off. When I mean hard, not necessarily in difficulty - just hard to do anything and work out what you had to do. I don't remember them being grander. I recall classic Hitman being alot more annoying. @anchorsam_9 is the compilation of episodes getting a retail release? 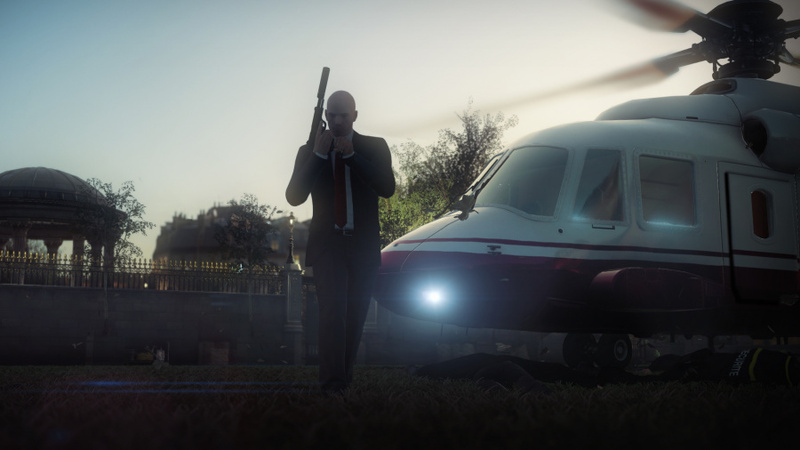 @themcnoisy - yes, Hitman 2: Silent Assassin was hard. You could chance your arm and rush through to your targets and upon killing them pay hide and seek through the exit or use the BallersTM to butcher through, with excellent rag doll physics to relay impact of shotguns versus a strategically placed sniper upon a hill just outside a complex to kill 2 targets as they embrace. With a single bullet. 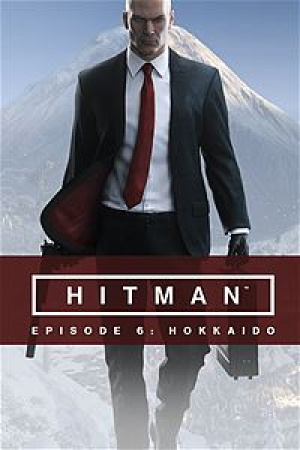 The story was also a fantastic and exciting campaign which most certainly had, if anything, larger and atmospheric environments with more variety to your methods of assassination - St. Petersburg remains my favourite level but you could pick another 5 from that game and they would beat Hitman on PS4 by a distance. So I'm a fan of Hitman, but this new iteration has removed the true sandbox elements and replaced with location / context-sensitive 'kills' which actually are a micro cutscene, and not a repertoire of moves available in other areas of the level. I'm disappointed IO Interactive haven't incorporated better gunplay and more physicality to this release, which helped define the AAA quality of the earlier games. @Galvatron While admittedly I haven't played the first two games, I've played Contracts onwards and I have to say that Hitman 2016 is a much easier game than previous installments. However, this release reminds me a lot of Blood Money in terms of gameplay and replayability, so I'm pretty happy with it - we all have different opinions though. I do agree on your point that 6 episodrs is a little meagre, however, and the story is very weak. There's no story? That's a bit concerning since it's obvious SE wants to go this episodic route with all its franchises. I'm not looking forward to a Deus Ex with no story. @Gamer83 - I'd go as far as to say that the manner in which IO announced very late in the day that they were going down the episodic route, coupled with a bizarre, non-existent story, suggests to me a very Destiny-esque state of affairs with the half-baked game released with no bells or whistles and only 6 levels which will take no more than 4-5 hours max to complete. So basically, that shocking bare bones of content is now getting off scot-free by reviewers who haven't queried WHY episodic release was suddenly announced.....IO clearly realised the full game, in terms of over-arching story and content, was unfit for release. To basically avoid finishing the game and giving long-serving fans the quality expected in terms of gunplay, expansive stealth and planning, they cheekily finish off levels on a staggered basis, and even a full disc version with all, erm, 6 levels released in January isn't prompting the reviewing community to hold IO to account. Which is a massive pity and no way to treat your best intellectual property. I haven't played any previous hitman game. This is definitely in my top 3 games of the year. I loved it. The episode structure is great in my opinion. There's tonnes of content and replayability. Can't wait for season 2. I really like the game as far as the main missions go, but it's padded out with fluff to deliver less content for more money over a prolonged period of time. It's unacceptable, really, and a shame since the actual game at the core of Hitman is fine and dandy, but the exploitative release method and reliance on pseudo-content sour the whole experience. Well I'm old school an for me all the hitman games are great till the episodics. So season two come on il be waiting.